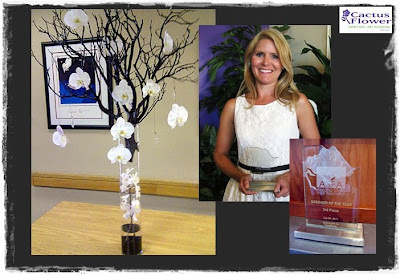 We're proud to announce that our own Hilary Torfin took 3rd place in the "Designer of the Year" competition at the Arizona State Florist Association expo this past Sunday! Contestants brought in their own bridal piece to be judged, and they also had a live "surprise package" competition in which they were given a bucket of the same flowers and tools to create a bridal bouquet in 30 minutes. 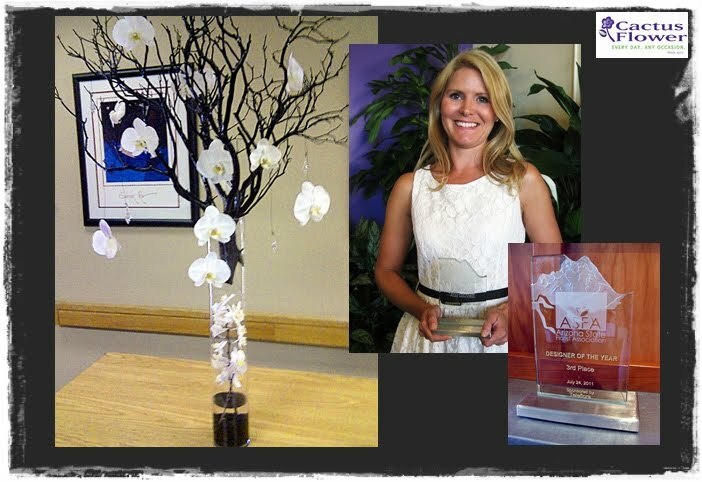 Hilary also received her certification as an Arizona Master Florist. She has taken courses for months to earn this high level of achievement. Hilary works in our Chandler store, and has often shared her talent in our Fresh Ten Films. Congratulations, Hilary! It's finally Friday! That means Happy Hour from 1-6pm at all store locations. Receive 50% of all cut fresh flowers! Bring Happy Hour home tonight when you make this delicious cocktail created by Stingray Sushi. It calls for roses...can you tell why we love it? Muddle the first three ingredients then add Bacardi Razz and ice. Shake and pour into a highball glass. Add champagne and remix. 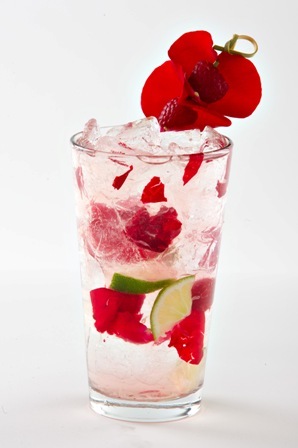 Garnish with roses and rasberries. Looking for something fun for the kids to do before they go back to school? It's National Ice Cream Month so we're celebrating with an ice cream social! Kids will make ice cream sundaes using their favorite color carnations that they can take home. After they're finished they can enjoy the real thing because we will be providing ice cream. We will be holding the ice cream social at our Glendale store on July 27th and at our Scottsdale Store on July 28th at 2pm.! We have a hot deal to match this sizzling summer weather! As a part of July's Fresh Ten offer, enjoy 12 red or multi-colored roses for just $10. The deal doesn't end there! 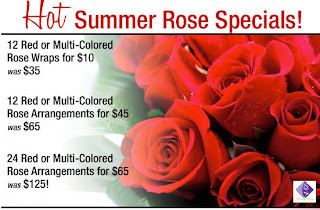 Enjoy 12 red or multi-colored rose arrangments for $45. Add a dozen more and get the arrangement for $65. Get some creative ideas on how to arrange roses by watching the video below.